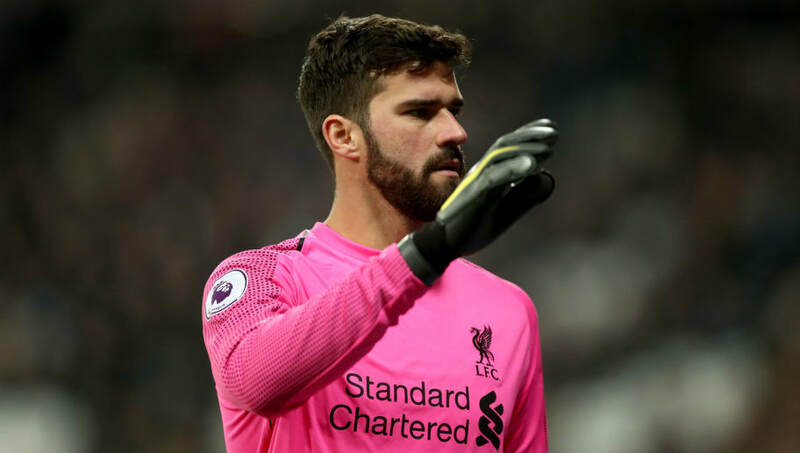 ​Since joining from Roma in the summer, Liverpool keeper Alisson Becker has cut a cool, composed figure between the sticks, and his thoughts on the Reds' title challenge certainly reflect those aspects of his personality. The 26-year-old has said that he and his Reds teammates are paying no mind to a recent stumble. Despite dropping points to Leicester and West Ham and being knocked off the top of the league for the first time since December - albeit with a game in hand - Alisson has claimed they just have to keep taking it 'game by game', if they are to claim a first top division title since 1990. "We believe we can win the league," the Brazilian told ​Sky Sports. "We've shown in the past that we're good enough and we'll continue to show this in the games we've got to come. "Everyone wants to win this league but at ​Liverpool our concern is winning games and not dropping points. "We don't think about ​Man City, we think about ourselves. We only think about what we can do and how things are moving forward." City have recently taken the initiative in the title race, returning to the head of the division on goal difference with a win over ​Everton during the week, but the Reds have played a game less and will return to the top with a win against ​Bournemouth on Saturday. And three points in that forthcoming fixture will be crucial, if Alisson is to be believed, if they are to realise their ambitions of prying the crown from Pep Guardiola's side. "I really want to win the Premier League with Liverpool," he added. "We need to win games and we need to focus on our next opponent.